Have you ever thought of a unique and creative gift that would best combine style and Pinoy humor? Nowadays, there are so many memes that make us go crazy on social media. 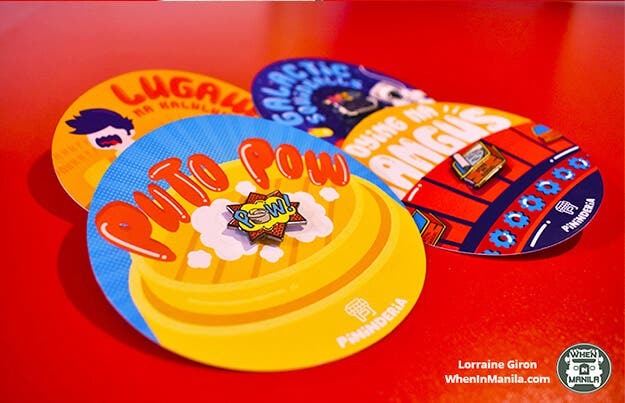 This humor brought Pininderia PH, an online shop for enamel pins that have funny and colorful pin designs. These adorable, food-inspired pins are perfect for every trendy Juan who loves to make puns every now and then! From the name Pininderia itself, it’s no wonder that their punny designs are all Carinderia-inspired jokes! Aside from their puns and witty labels, their enamel pins are fashionable so that you can add style and fun to your #OOTD. Pininderia PH came up with their first ever Pun-tawid Gutom Collection. 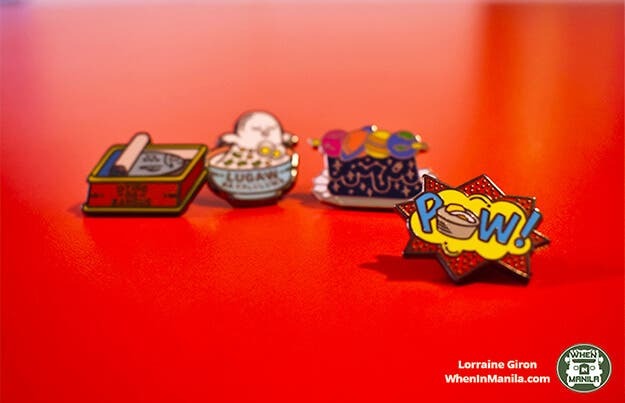 The Pun-tawid Gutom Collection includes four known Filipino delicacies designed as witty pins accompanied with a twist of 100% Pinoy puns. Puto Pow is inspired by the Filipino version of rice cake known as Puto Pao. Galactic Squidballs represent the out of this world humor we have as Filipinos! The squidballs are made colorful to represent planets skewed on a stick like the Pinoy street food known as squidballs. Lugaw na Kaluluwa: Pinaniniwalaan na espirito ng mga taong parating sabaw noong sila ay nabubuhay pa. Ikaw? Lagi ka rin bang sabaw? Handa ka na bang maging isang Lugaw na Kaluluwa? We’re pretty sure that many of you will relate with the pun behind Lugaw na Kaluluwa. It is called Lugaw or rice porridge which has been identified as a kind of Pinoy sabaw that can also be applied to our tired selves transforming into lost souls especially during our sabaw moments. The next enamel pin will probably paint a big smile on your face! Instead of the dried fish or Daing, it was replaced with the word Dying. With these adorable enamel pins, you can now add style to your plain collar shirts and jackets. What are you waiting for? You can give your friends or yourself this kind of unique and stylish gift! You can even make your crush smile with them! And you don’t have to think twice because Pininderia PH pins are affordable only 250 pesos each.